Quilting Adventures: Excuses, excuses.... ? I do have good reasons to be away from blog land. 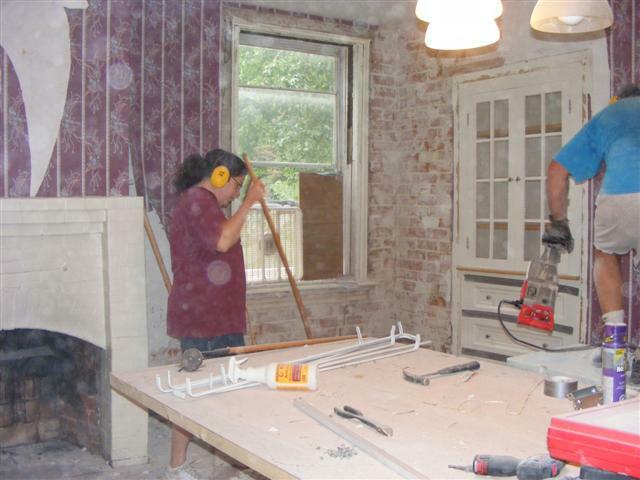 July has been busy with lots of activities, one of which is renovations. This year, we are doing both the dinning room and the living room. It's messy and time consuming but oh so rewarding when completed. I'm so glad that wall paper is gone! 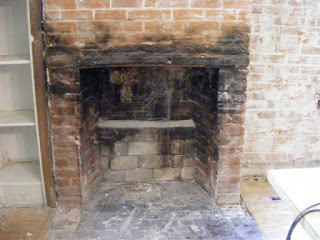 Oh, and that fire place mantel too! I think it was added much later. It really does not represent the time period of our home. Once we took the plaster off the walls, we were able to determine if my plan to have an exposed brick wall on your right (the same wall as the built in cabinet) was feasible. Sadly, it wasn't. The wall was too damaged to be exposed. But, the fire place looks great! Stephen will be making a mantel for it. 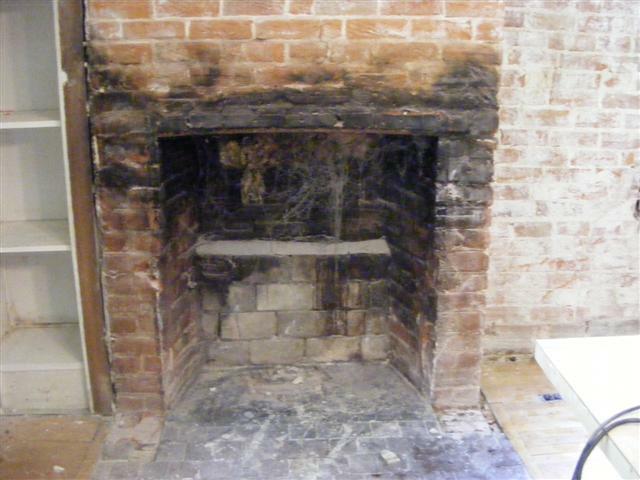 The only brick exposed will be that of the fireplace chimney. As for the draw, I have all the names printed out and I will post the winner this weekend. Off to do a bit of catching up! Thank you for your patience! Hey - there you are! Whoa you and Stephen have been busy! Oh my, but you have a lot going on there. I know it will look fabulous when you guys get it done. Sorry about the wall as it would have looked fabulous. I have a deep admiration for anyone willing to do home remodeling like that. I don't have it in me! But I know it will be beautiful in the end. Great to "see" you back! You have been super busy & your room will look great. Wow...you have indeed been busy...been wondering about you! Oh it will be nice when done, but not fun to get it there! Wow..that is a job and then some. 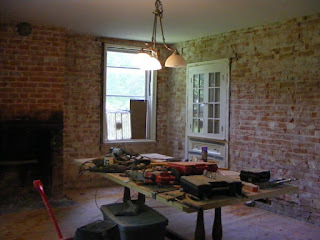 My husband and I used to love home makeovers, but now it just seems like a lot of aching joints to me, lol. I am sure the dining room and living room are going to be wonderful and you will enjoy all your hard work for many many years to come. I would love to see what the outside of your home look like. Wow that's some renovation, I know how much work that can be and such a mess too. I look forward to the after pictures. That built in is incredible. Luck you to have such a piece. The brick would have been nice, but I sure things will look wonderful when you finish. Big improvement on the fireplace.